Bowl and Vessel Steady Rest: Steady rests are used to support large diameter bowls and hollow vessels when working on the interior. They are also used to support long spindles. 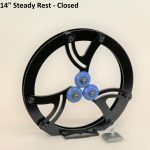 Long hollow forms especially need the support of a quality steady rest. 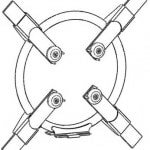 We manufacture steady rests to fit four sizes of lathes: 14″, 16″,24″ and 25″. 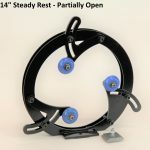 16-25″ steady rests are constructed from a rigid tubular steel ring. 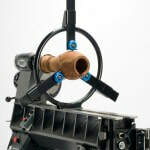 14″ steady rests are made from laser cut steel. All the wheels are heavy duty & industrial quality, not roller skate wheels. 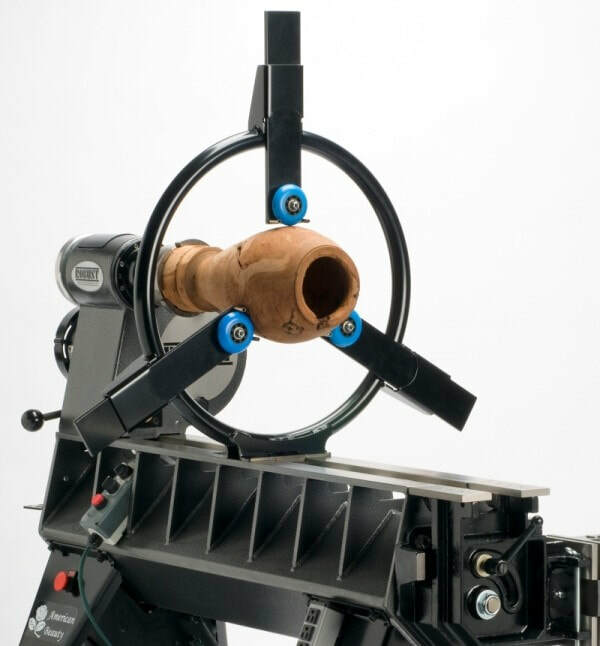 Upon request, we will orient the three arm 16-25″ steady rests for better laser access. We can also equip these steady rests with four evenly spaced arms.